Relaxing on the beach in Santa Teresa, on Costa Rica's Pacific coast. Sebastian Sanchez photos. Slow Down Chica....This is Costa Rica! Admittedly, when I booked my flight from Vancouver to Costa Rica with the intention of settling into a relaxed beach town, I carried with me not only luggage, but a number of expectations I didn’t know I was bringing along. One of my first endeavors after arriving was to set up a stable internet connection as quickly as possible (as I need it for work). Having someone install a Wi-Fi connection wouldn’t normally seem like a prolonged test in patience; however, in this Pacific side surf town, it sure was. An Argentinian waiter gets ready for the dinner rush. To be honest, this infuriated me. I don’t enjoy being told what to do by a stranger, nor was I entirely sure I approved of being called chica. But with some time and adjustment to my standards of what is “normal,” it’s easy to see that this cafe owner was right. If a traveler or expat doesn’t adjust his or her standards to a much slower pace of life, he or she will go mad. That’s just the plain truth. While you walk along the dusty road that trails through Santa Teresa, you’re bound to come across countless surf shops and yoga hotspots. You may also notice that most who have taken the time to travel to this somewhat difficult destination to reach have a passion that either involves a board or unwinding into child’s pose. Forest animals abound just outside your door in Santa Teresa. Whether you choose to try your hand at a yoga class at hostel Casa Zen (an oasis retreat that’s surrounded by soothing greenery) or pick up a board at the relaxed, yet incredibly accommodating Lost in Santa, you will never be short of options to choose from. “There is a rivalry between yoga and surfing in this town, and they are both winning,” laughs Julio Concepcion, the owner of Casa Zen. Giving into the magnetic lure of the hot sun and chill vibe that is Santa Teresa means that most days, it’s easier to relax into the ocean, rather than check off a travel to-do list. When you first arrive in Santa, you will surely notice the long straight road that runs through the town and beyond. Two friends head to a cafe to get smoothies. 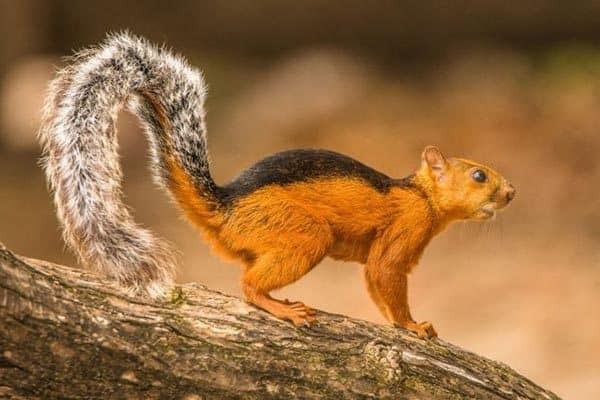 While it’s speckled with all sorts of restaurants, cafes, and alluring beverage choices to choose from, just taking a quick turn off the road means, you will end up in a forest where Iguanas, squirrels, crabs, scorpions, and Howling Monkeys rule. It's a common sound to hear the monkey’s howling aggressively early morning. Not to mention, it’s a no brainer to trade your Instagram views in to lock eyes with one of the five monkeys staring in at you while you enjoy a coffee on your hostel’s balcony. Getting dressed takes some cautious thinking too. A local explained to me that the scorpions in this area like to make homes in the dark crevices of towels and clothes, so it’s best to shake out your items before putting them on. The wild and raw nature that is present in every moment requires more of an attention to the now than we are often used to, but it certainly reminds you that nature is boss, and it’s humbling. If you head a bit further past the forest and bungalow retreats, you’ll end up at one of the town’s breathtaking beaches. Playa Carmen is the local hub for surfing and chilling. You’ll see surfers of every level braving the constant waves. 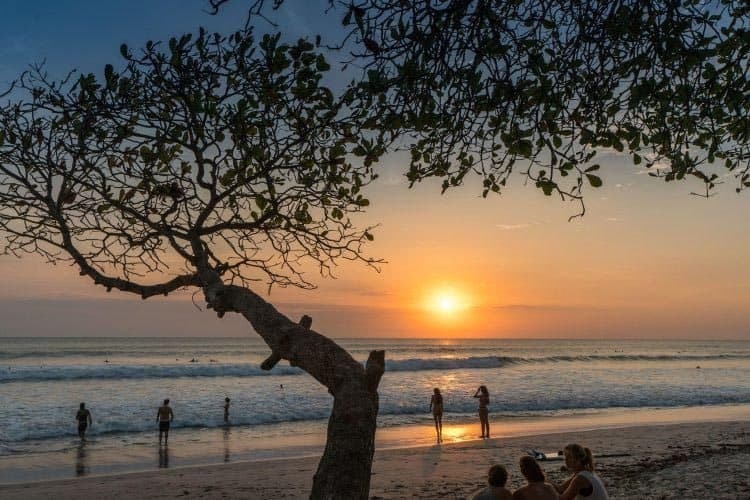 Playa Hermosa, on the other hand, has an untouched beauty to it that will effortlessly ease you into forgetting the world. ATVs are a main source of transportation in Santa Teresa. If you want to indulge, Hotel Pranamar offers a luxurious and indulgent retreat from the heat with deep massages, a beachside bar, and restaurant with staff who treat you like family. Between Playa Hermosa’s untouched feel and the option for some luxury at Hotel Pranamar, it’s impossible not to forget your worries. A unique part of being in this location is the rich context for people watching. There’s a good reason that one of the surf shops is called Lost in Santa. This town is sentimentally referred to as a “magical bubble” that many don’t leave. With this comes a wide range of those who now call Santa Teresa home. There are many families who have relocated from other parts of the world, die hard surfers who have adopted a Peter Pan existence of sun and fun, tourists on short stays, and of course, the local Costa Rican population who have either relocated themselves or have been here their whole lives. Sunset over the Pacific in Costa Rica. With the variety of people in Santa, it’s worth your time to put away your laptop, order a smoothie, and people watch until your heart is content. If you’re up early, you’ll catch the morning commute of surfers heading to the ocean. 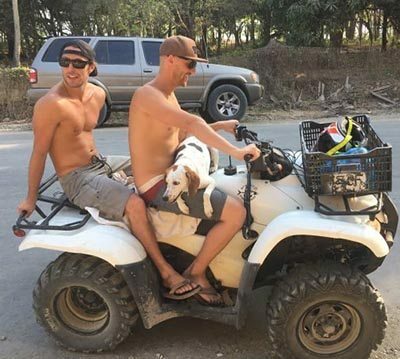 Bronzed, shirtless, and often shoeless, they zoom up and down the main road on ATVs with boards intact. Settle into a café near the beach a little longer, and you’re bound to be inundated with girls and guys sporting bathing suits as clothing. Because of the hot weather and ocean first mentality, bikinis and board shorts double as clothes. It’s an indulgent feeling to enjoy the view of clothing free people order omelettes and salads without a second thought. 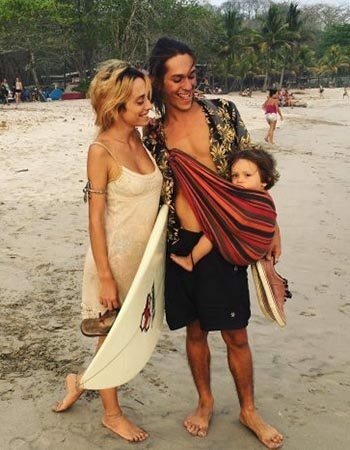 This Costa Rican and Portuguese family epitomize the surf culture of Santa Teresa. Furthermore, the families tend to bring a whole new feel to your people watching experience. Many of the families tend to have fallen captive by the alternative lifestyle of Santa Teresa and often, the kids will speak Spanish, English, as well as their parent’s native language. Along with their worldly exposure, they experience a different sense of “normalcy,” then they would in their native country. Often, parents will pop their kids or dogs right onto their ATV or motorbike. One avid surf family even had board racks attached to their double stroller. The Costa Rican population brings a refreshing addition to people watching. Often, many locals are fully accustomed to the heat, and you will see them wearing jeans, t-shirts, and shoes like it’s no big deal. Or you will see Tico and Tica surfers who effortlessly embrace surf culture (sporting gorgeous tans, rock hard abs, and a laid back attitude that can’t be rivaled) because they were raised in the ocean. I have been guilty of staring at the patrons of cafes for just a touch too long and have been caught from time to time. But the good news is, the varied and interesting people you experience will have you forgetting that Wi-Fi exists. Simply sit back and enjoy. Santa truly is a special place, and it’s worth taking the time away from to-dos, expectations, and social media to take it all in. 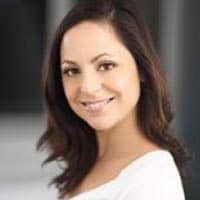 Tess Bercan is a freelance writer and a traveler. Currently, she lives in Santa Teresa, Costa Rica, and she hopes to explore more of the country. I would be interested in what is going on in 2018. After being a travel junkie for years and actually *gasp* going to Costa Rica a couple times, I am ashamed to admit I have never heard of Santa Teresa. Looks like it could be a perfect spot for our crew as we are looking for a laid back spot to while away a Canadian winter. Thanks for the tip Tess and all the best in your new adventure! Santa Teresa is definitely the perfect escape from cold Canadian winters. If you have the chance, look into Samara as well – it’s a bit further, but also incredibly relaxed and beautiful.